This pretty much sums up my perfect weekend outfit. Comfy, casual, and about as chic as I can get while toting around a potty training potty in a bag everywhere I go (potty not pictured)… Yes, potty training is the best! I do truly love this look though and it's such an almost-fall-friendly look! 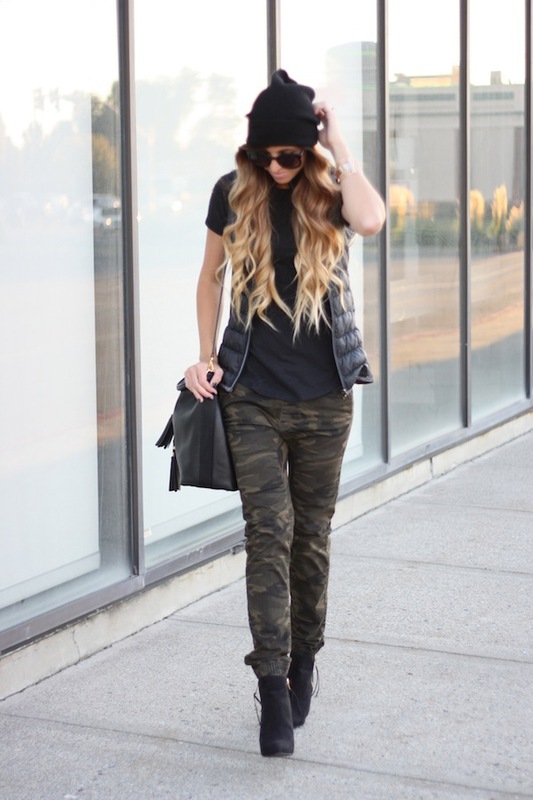 I looove these joggers and they have become my go-to skinny pants! I don't know about the rest of you, but all girls should have a pair of "I feel super skinny whenever I wear these" pants. They're kind of a must. These ones create this fabulous illusion that I've somehow lost a few pounds in my leg region, and I'm not even mad about it! I also have to brag a little because I found these amazing joggers and this amazing reversible LuluLemon vest both at my favorite consignment store here in SLC for i.n.c.r.e.d.i.b.l.e prices! 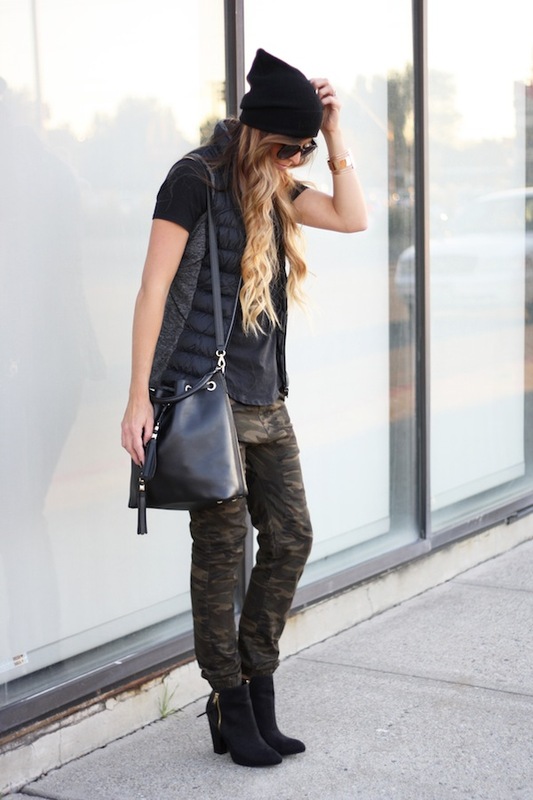 This vest is normally over $120 and I snagged it for $40! For you Utah girlies (and guys if you're following), Name Droppers is doing their end of the month sale this weekend (Fri-Sun) at their Highland Dr. location and if you head in and mention my blog & name you will receive $20 off your $100 purchase! I promise it's worth a gander, I am always shocked with how much I end up coming away with when I leave that store! Hi Robyn, Would you be willing to share the brand name of the joggers? I absolutely adore them! Wish I lived closer to shop Name Droppers, sounds like some amazing deals! I love everything about this look ;) great style!!! What lipstick/gloss are you wearing? Love it!